The UK true fleet sector ended 2017 with another month in the red but helped make up for even bigger losses elsewhere in the new car market. 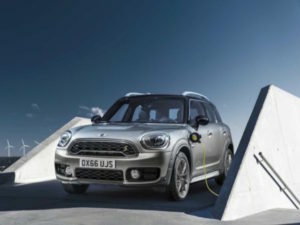 The Mini Cooper SE Countryman ALL4 outsold its diesel counterparts in December’s UK true fleet market. Latest figures from Dataforce show true fleet registrations were down 9.9% in December, compared to declines of 15.9% and 18.6% in the private market and special channels. The total market fell 14.4% for the month, finishing the year on 152,000 registrations. Within the top 10 true fleet OEMs, Toyota saw its best year on records since 2008, with growth of 24.5%, led by the Aygo, Yaris and the all-new C-HR. Skoda was up 19.6% while Hyundai rose 17.8%, with the latter’s Ioniq model missing out on securing a top four finish inside the brands’ yearly rankings by just 25 units. Outside the top 10, Suzuki saw growth of 151.7% for December and 99.4% for the year, putting its true fleet registrations into the five-digit column in the UK for the first time ever. It also missed doubling last year’s volume by a mere 33 units. Dataforce also looked in more detail at the SUV sector, which was one of just three sectors to see positive growth in December. Within the SUV model line-up, the Nissan Qashqai took the crown followed by the Ford Kuga, up by 145.8% while the Hyundai Tucson, VW Tiguan and the Kia Sportage rounded out the top five for the month. Meanwhile the Mini Countryman saw its best month since March 2014. The Cooper SE Countryman ALL4 (see road test here) outregistered the four diesel engine versions available for the third month running.